Hi there! I’m Chloe, Sub-editor at Mystraightener.com. And today we’re going to discuss natural and organic cosmetics, more specifically – natural and organic shampoos. They are considered to be good for your hair health, but why? I’ll explain this later. The reason why we are here is obviously the rating of the best natural shampoos, right? If you’re looking for the perfect products for your hair, you came to the right lady. 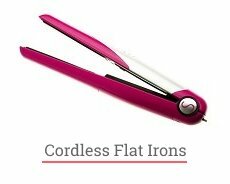 Here, on Mystraightener.com, we collect all the best things for your hair. So, whether you’re looking for the best shampoo for natural hair or the best moisturizing conditioner for split ends – this post is for you! By the way, you probably have some questions about natural shampoos, don’t you? I will answer some of them in the FAQ section. And if something else concerns you – feel free to leave comments! 1 What Are the Benefits of Organic and Natural Cosmetics? 4 Best Natural Shampoos: What Have We Learned About Them? What Are the Benefits of Organic and Natural Cosmetics? Both natural and organic cosmetics, as the names imply, contain natural ingredients. The only difference is, a product can be called natural if there are any natural components, even 1%. And for a product to become organic, it must contain at least 95% of organic ingredients. This means that those ingredients were grown under organic conditions – for instance, with minimal use of chemical fertilizers or pesticides. The standards for organic certification can vary, but they’re quite strict anyway. They usually require using those farming methods that don’t harm the environment. Also, a farm must be certified by a recognized organic standards organization, and so on. Of course, not all the ingredients of, say, an organic shampoo are grown on a farm. There probably will be fats, wax, lanolin, and some more. They’re usually synthesized in a lab from permitted for organic cosmetics substances. Also, you should remember that not all natural and organic ingredients are totally safe. Some of them are highly allergenic – for example, honey, pollen, some flowers or leaves. So, make sure that you’re not allergic to the ingredients of a particular shampoo or conditioner before purchasing. Still, organic cosmetics have lots of merits. Generally, they don’t contain harsh chemicals such as sulfates, parabens, silicones, and others. Many manufacturers don’t test their products on animals, and animals don’t get hurt either. There may be wax or honey produced by bees, but they don’t die because of it. There are quite a lot of vegan products that don’t contain animal derived ingredients at all. So, if you care about nature, organic cosmetics are made for you! All of that fully applies to the organic shampoos. Let me just add that they don’t lather that well like regular shampoos do. That’s because organic shampoos usually don’t contain surfactants that are responsible for producing suds. But they do clean your hair, and do this even better! Your hair just needs some time to get used to these new products. 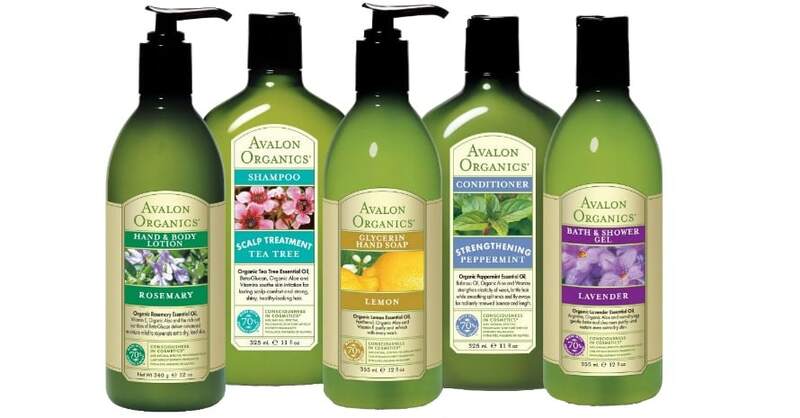 Finally, organic shampoos usually have rather runny consistency, and the scent is discreet and light. So, now you know what are the features of natural and organic shampoos and can fully appreciate these best natural shampoos that I’ve collected for you. This duo contains plant-based ingredients such as citrus, peppermint, eucalyptus, and more. Beet sugar extract, vitamins E and B5 moisturize and strengthen your locks. 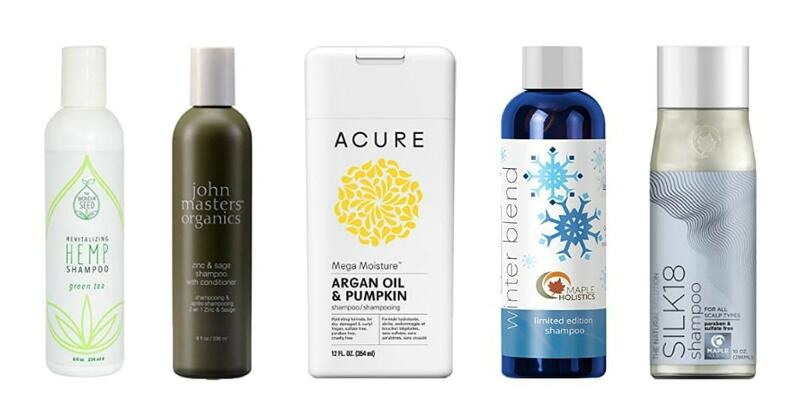 These products are suitable for all hair types, hypoallergenic, and sulfate-free. The coconut-based cleansers help to create rich foam. They will leave you with full, shiny, and less frizzy hair that you’ve always dreamt of. For me, these are the best natural shampoo and conditioner that work wonders together. bottles are recyclable, and products are biodegradable. scent is too intense, so those with asthma and other issues beware. How often do you see caffeine in the list of ingredients? Well, this shampoo stands out indeed. Along with caffeine that stimulates the scalp, it contains argan oil and keratin that lock in moisture. All the components work together to prevent hair loss, give your tresses more volume, and promote new hair growth. This shampoo is a real deal for those who suffer from thinning hair or just want some extra volume. Your locks will be fuller, thicker, and more voluminous – isn’t that a dream? Just make sure to rinse the product thoroughly. This conditioner is meant to speed up hair growth and add volume to thin hair. Its main ingredient is biotin that is known for its ability to prevent hair loss and breakage, promoting hair growth. Also, this conditioner strengthens the roots, moisturizes, and adds extra shine to your locks. After using this product, the hair looks thicker and shinier and the curls are more defined. 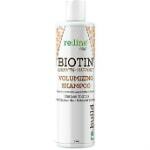 For better results, use it with the Biotin & Vitamin Shampoo by B. The Products. These are the best natural shampoo and conditioner for fine hair I know of. This shampoo contains three essential oils that are extremely beneficial for hair. These are tea tree oil, argan oil, and coconut oil. This powerful combo will revitalize and invigorate your hair, restoring the moisture level and repairing the damage. Also, this shampoo helps to reduce frizz and fight dandruff. Some of my clients with keratin-treated hair note that this product doesn’t ruin the treatment. It’s just the best natural tea tree oil shampoo, and there are quite a lot of them to compete with. This product is designed for men, especially those with thinning, damaged, or dull hair. Its key ingredients work together to make your hair look fuller, shinier, and healthier. For instance, peppermint and tea tree oil relieve scalp irritation and prevent flaking, and vitamin E encourages hair growth and helps with hair loss. 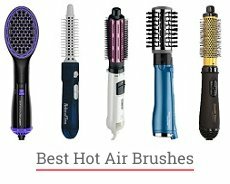 It’s a great product for any hair type, and it’s totally worth the price. may dry hair, especially if used too often. This shampoo contains the plethora of natural ingredients like hemp seed oil, aloe vera, cocoa butter, jojoba oil, and many more. This powerful blend of organic components nourishes your scalp, locks in moisture, and makes your locks full and bouncy. And green tea extract helps with hair loss and encourages new hair growth. What’s more, this hemp seed shampoo is a great remedy for itching scalp and dandruff. Many of my clients admit that this product relieves the irritated scalp and helps them to get rid of flaking. If you’re not a fan of aerosol dry shampoos, that’s the product just for you. It comes in a powder form which is a bit difficult to find. Also, this Handmade Heroes shampoo is made especially for those with dark and black hair, that’s why it’s gray. It may give a slight gray tint to your hair, but as soon as the shampoo absorbs excess oil, the hue is almost completely gone. Kaolin clay is what helps to keep oiliness under control. Not only this dry shampoo let your hair stay fresh and clean longer, but it gives you extra volume, too. Totally worth the price! can be messy during application. This shampoo is made for the whole family. It’s soft enough for babies and kids, and rich enough for their parents. The list of ingredients includes organic aloe, calendula, chamomile, and more. They all work together to moisturize your hair or skin, leaving your tresses soft and clean. This shampoo has a nice pineapple scent which is pleasant even for men. Awesome family shampoo indeed! This product is made with botanical extracts and oils, and the key ingredients are organic soap nuts, or soap berries. 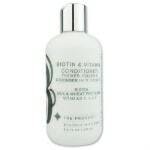 This shampoo conditions and moisturizes dry locks, relieving itchy scalp. There are two formulas available: “normal to oily” and “normal to dry”, so you can choose one depending on your hair type. The shampoo doesn’t strip color – quite the opposite, it’s made to reduce fading. After washing, hair feels soft, manageable, and full of body. And the large bottle is rather cost-effective. might leave hair dry and/or tangled. It’s a game changer for those suffering from itching and dandruff. Infused with organic extracts and oils, this shampoo can even alleviate symptoms of eczema and psoriasis. Two main ingredients, zinc and sage, help to soothe the scalp, reduce dryness, and purify your tresses. And wheat amino acids condition and strengthen your tresses, leaving them easy-to-manage, soft, shiny, and full of volume. The only thing is, if your hair is frizz-prone, you may want to use some product to reduce frizziness after washing. formula was changed, so read the list of ingredients carefully. I like this duo for many reasons. First, it contains plenty of beneficial ingredients such as argan oil, green tea, sea buckthorn, organic pomegranate, and more. Plus, the conditioner is made with a blend of 18 silk amino acids – that’s how the set got its name. It’s great for both curly and straight hair, reduces frizziness and gives extra volume. These products are a great help for itchy scalp and dandruff. They will leave you with soft, silky, and manageable hair that you’ve always dreamed of! free of parabens and silicones. One of my personal favorites. At some point in my life, I was experiencing drastic hair loss. Fortunately, I found this shampoo until I got completely bald, and now my hair is just fine. 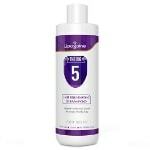 Many of my clients have also noted that this shampoo was a great help for hair loss. It’s enriched with natural ingredients. Caffeine, biotin, argan oil, castor oil, and saw palmetto work in sync to strengthen and nourish your locks, preventing hair thinning and breakage. Hair looks fuller, thicker, and noticeably healthier. There are plant extracts, essential oils, and fatty acids in the list of ingredients. This shampoo will leave you with clean, soft, and shiny tresses. For better results, use it with the Christina Moss hair conditioner. Those with thin hair will definitely appreciate this product since it works as a volumizing shampoo, too. Actually, it’s suitable for all hair types, even for color-treated one. And the icing on the cake is a recyclable tube which is quite a rare feature. 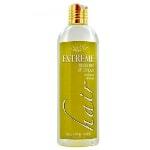 The hydrating formula of this shampoo is great for dry and damaged hair. 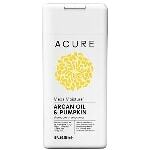 It includes argan oil, pumpkin seed oil, and sea buckthorn oil that lock in moisture and add ultimate shine to your locks. Hair feels soft and manageable. The only thing is, it doesn’t feel completely clean, so those with oily hair probably won’t become huge fans of this product. Other than that, it’s a great natural shampoo that is free of toxic chemicals and is biodegradable. a bit cheaper than many other natural shampoos. no good for those with oily hair since it may get oily faster with this shampoo. This combination pack includes a shampoo, a regular conditioner, and a leave-in conditioner. The shampoo is enriched with organic shea butter that cleanses and deeply moisturizes dry and damaged hair. The conditioner is formulated with peppermint oil to invigorate the scalp and encourage hair growth. Finally, the leave-in conditioner is meant to moisturize and detangle your curls, thanks to coconut oil. 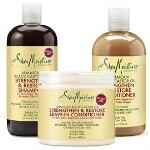 This set will give you soft, light, and frizz-free beautiful tresses. 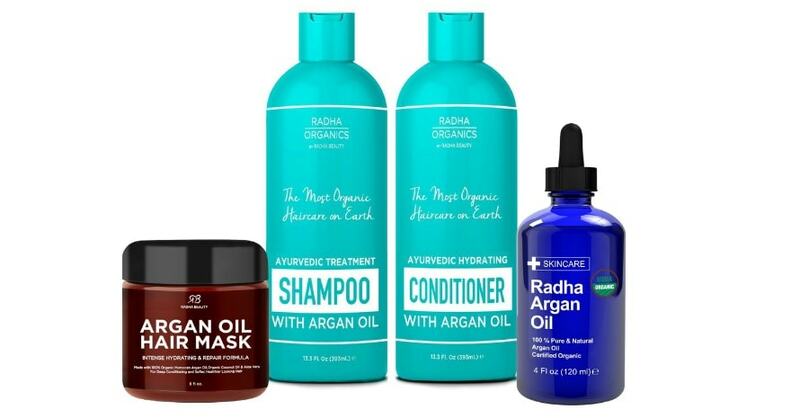 These products don’t weigh hair down, and they can significantly help with hair loss. Lots of merits! sulfate-free and paraben-free; not tested on animals. to me, the leave-in conditioner doesn’t absorb well. It’s a real catch for those with dry, thin, and dandruff prone hair. Powered by five mint essential oils, these products encourage hair growth and return radiance and shine to dull strands. This clarifying shampoo deeply cleanses hair, removes oily build-up, and helps with dandruff. And the conditioner is enriched with aloe vera, argan oil, shea butter, silk amino acids, and more. They work in perfect sync to nourish, soften, and strengthen dry locks. Hair feels strong, soft, and healthy. if used too often, this shampoo may strip your hair of natural oils and dry it since it’s a clarifying shampoo after all. That is the common issue for those who’ve just switched over to natural shampoos. Usually, they take from 2 to 4 weeks for your hair to get used to them, depending on how often you wash your hair. There is nothing you can do about it but wait till this period ends. The thing is, regular shampoos with silicones and other harsh chemicals make your tresses look shiny and smooth. However, these chemicals get accumulated on your skin and hair, making hair greasy and heavy, so you have to wash it more and more often. That’s a vicious cycle that is hard to break. Natural shampoos help to remove this nasty build-up, and hair may feel not so smooth and shiny at first. But if you arm yourself with patience – eventually, you will get healthy, strong, and good-looking hair without build-up. A natural shampoo lathers poorly and doesn’t cleanse hair. What should I do? Natural shampoos don’t make as much suds as regular shampoos do, that’s true. Surfactants like SLS and others is what helps a shampoo to lather well. But if you think that one needs lots of foam to clean the hair deeply, you’re wrong. When it comes to a natural shampoo, it’s better to rub it into the scalp till you hair gets squeaky clean. You won’t miss that moment – clean hair creaks almost like clean dishes. If you’re not happy with the natural shampoo even after a month of using, try out some new products. And if nothing helps, ask a trichologist for advice. You should change your shampoo from time to time. Be it a natural shampoo or a regular one, hair eventually gets used to it. Your sebaceous glands start to produce more sebum, thus more oiliness. So, if you don’t like the results anymore, try out a natural shampoo of another brand. Or you can purchase not one, but two natural products and use them alternately. Best Natural Shampoos: What Have We Learned About Them? All in all, natural and organic shampoos are definitely good for your hair health. 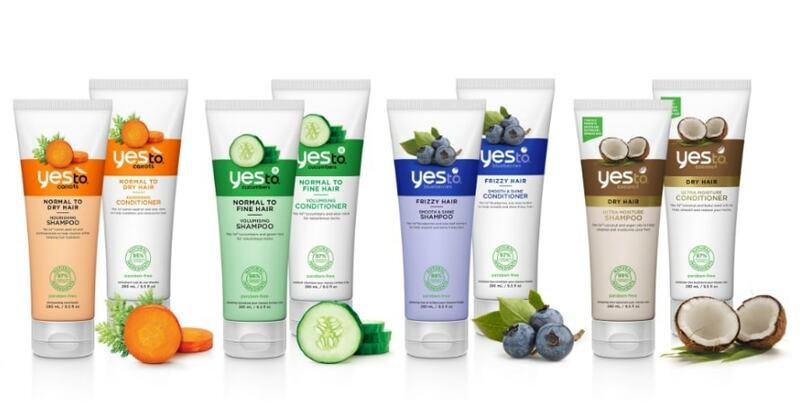 It’s better to choose products without harsh chemicals like sulfates, parabens, silicones, and others. Take a close look at the list of ingredients to see which ones of them are organic and which are not. Genuine organic shampoos can’t be cheap, considering the efforts needed for their manufacturing. However, a good organic shampoo is worth every penny, and its long-term impact on your hair health is priceless. 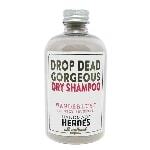 There are natural shampoos for all hair types – oily and dry, fine and thick, short and long one. Some of them can really help with itching scalp, dandruff, and hair loss. The shampoo label and ads often contain info about its key ingredients – it can help you to make up your mind. Spend some time to find the best natural shampoo for your hair length and texture, and all your efforts will be rewarded. Looking for the best shampoo for natural hair? Not sure which organic conditioner to choose? Maybe, you’re a fan of dry shampoos? Now you have this top-list of the best natural hair products – the choice is yours! And if you have any questions, I will be happy to answer them! Also, I’m eager to find out what is your experience with natural shampoos. Please, leave your comments below and let me know how you like this post. See you next time! The Natural Solution Silk18 Shampoo and Conditioner for dry hair by Maple Holistics is the best choice! These products are a great help for itchy scalp. I’m sorry that you had unsuccessful hair dye. My colleague Olivia covered how to fix orange hair theme in a post. You might find some useful tips there. Liz, I’ve tried a lot of natural shampoos for dry hair and the one Monica recommended to you is really great. I also like Maple Holistics shampoo and conditioner, it’s also mentioned in this article. After using it your locks will be soft and shiny. If we are talking about color-treated hair, these products are a great option for you. 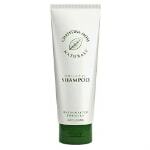 It also prevents scalp skin flaking and the scent of this shampoo is very nice. Thank you T.Dawson for your comment! Hello, Monica! Thanks for such an awesome review! I think that organic care products are always better than chemical ones. I started using Keeva Organics shampoo a couple of years ago and I should say that its 3 in 1 formula is something amazing. Before I started using this product my hair was so frizzy and coarse but now I’ve forgotten about all these problems. It’s the best natural shampoo I’ve ever faced with. And the scent of tea tree and coconut is so sweet and pleasant that I just can’t stop enjoying it. Strongly recommend to everyone! Amazing article! I’m a big fan of natural hair care products and I’ve already tried some products from your list of top natural shampoos. My favorite one is Wonder Seed shampoo, its revitalizing effect is amazing. It is also the best solution for those who are looking for a natural dandruff shampoo – you will see the result right after the first usage. I also faced with Lipogane shampoo, my mother started using it to prevent hair loss and I should say she started looking younger after I’ve bought her this shampoo. It is also good for hair growth due to its amazing formula. Sully, you are so sweet! Thank you! Please, check up articles of my sub-editors and writers. Maggie is covered a theme on best mirror for makeup with light, Olivia shared tips on how to fix orange hair and our veteran, Chloe, will tell you everything about keratin shampoo! Hello, Monica! My name is Emma and I’m a mother of two noisy children (2 and 4 years). Now I’m looking for an appropriate sulfate-free shampoo for them. Could you please tell what is the best natural shampoo for children? Hello, Emma. I think you should check out amazon reviews on sulfate-free shampoo for children.